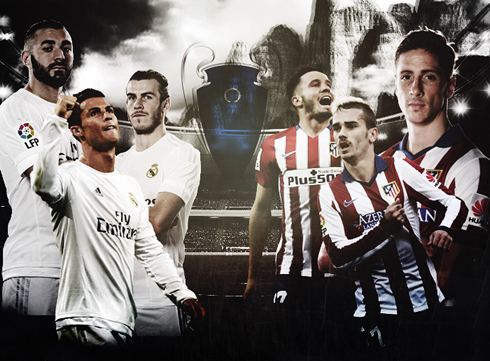 ﻿ Can Real Madrid beat Atletico in the 2016 Champions League final? 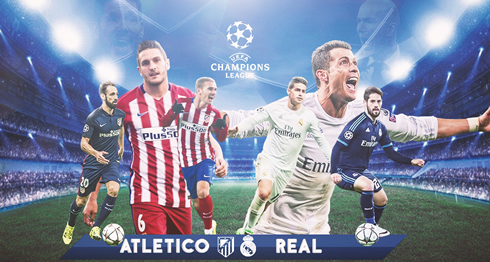 20.05.2016 » Can Real Madrid beat Atletico in the 2016 Champions League final? Two years after lifting La Décima in Lisbon, Real Madrid have gone all the way to the Champions League final to meet the same rival as last time, Atletico Madrid. Are the Merengues capable of pulling it again? It was a rough finish to both Madrid sides in La Liga this season. Real Madrid took out Deportivo 1-0, but still finished second in the table. Atletico had lost against Levante just one week before the final round of fixtures, which also forced them to wave goodbye to the title prematurely. On the last day of the competition, they got to watch Barcelona raise the title. Now, although their league hopes were dashed, their minds are now completely clear for what's ahead – the UEFA Champions League title. It's bigger than any La Liga win, it's bigger than any Copa Del Rey victory, and it's the biggest honor a club can shoot for. La Liga can make you a winner. Champions League can make you a legend! 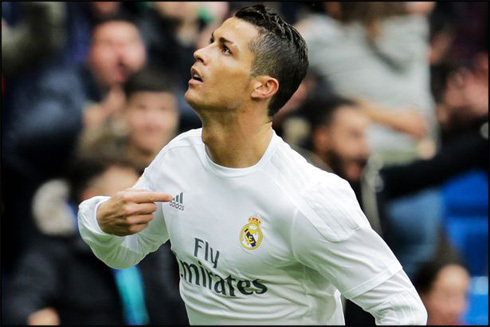 Real Madrid's biggest advantage is that Cristiano Ronaldo is leading all Champions League scorers with 16 goals. He is going for his fifth Champions leading scorer award and his third UEFA Champions League title. Real Madrid can use their recent La Liga loss as added motivation as well. 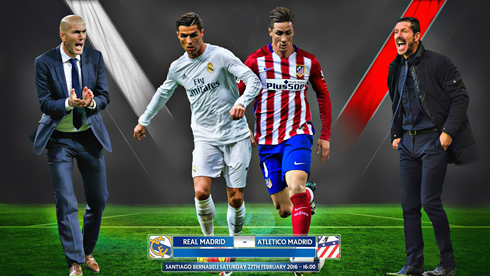 Experts give Madrid +131 odds to take the 2014 Champions League rematch with their city rivals Atletico Madrid. Two years ago, Ronaldo scored on a penalty in the 120th minute to help confirm his team's Champions League dream. Now, in 2016, Atletico does look a little more stable than they were a few years ago. They celebrated big victories over Barcelona in the quarterfinals and Bayern Munich in the semifinals – two teams that were once listed as favorites heading into the knockout stage. The good news for Real Madrid is that Zinedine Zidane will most likely have the entire squad at his disposal on May 28. The Merengues are in full force ahead of next week's final, but they won't be facing a weakened side at the other side of the barricade either. Atletico have all their key players available at the moment and Diego Simeone will certainly be pleased to capitalize on that. For most of the Colchoneros, this Champions League final will be the most important game of their lives. The biggest difference between the two teams is experience though. Real Madrid has 9 players still on their roster from that 2014 win, while Atletico only have five remaining from their loss two years ago. Cristiano Ronaldo, Gareth Bale, Sergio Ramos, Karim Benzema – these aren't the type of names you'll find at Atletico either. Atletico are known for raising future greats and then losing them to more appealing contract offers. In 2014, they watched Thibault Courtois, Diego Costa and Filipe Luis all leave for Chelsea in the Barclays Premier League. This time around, their younger up-and-coming generation of Saul Niguez and Antoine Griezmann will likely also get some extra attention for other clubs around the world.